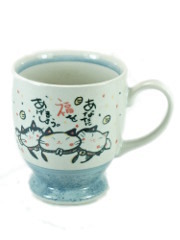 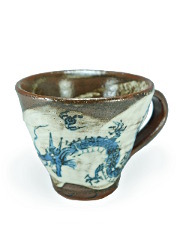 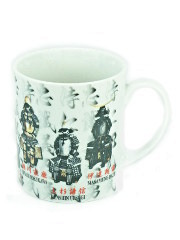 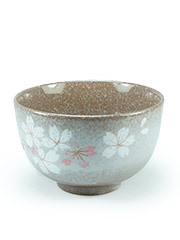 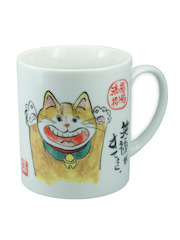 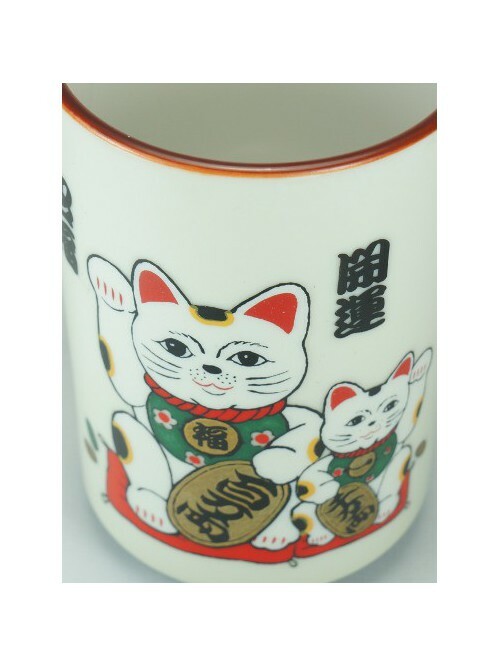 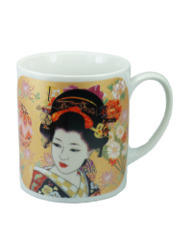 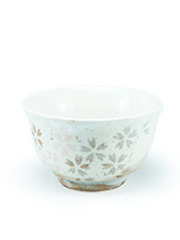 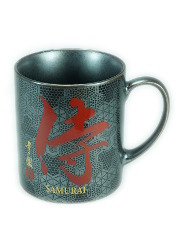 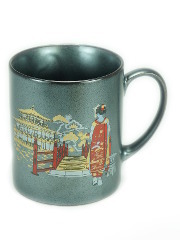 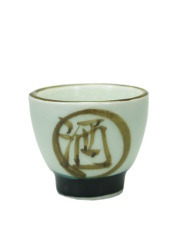 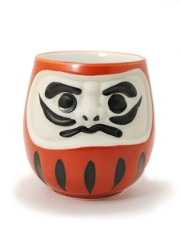 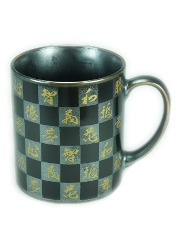 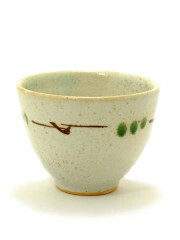 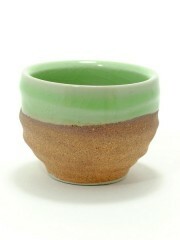 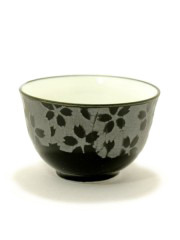 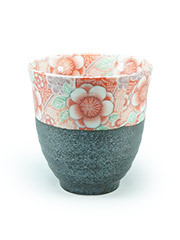 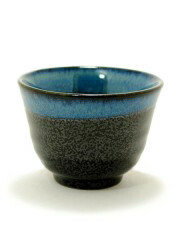 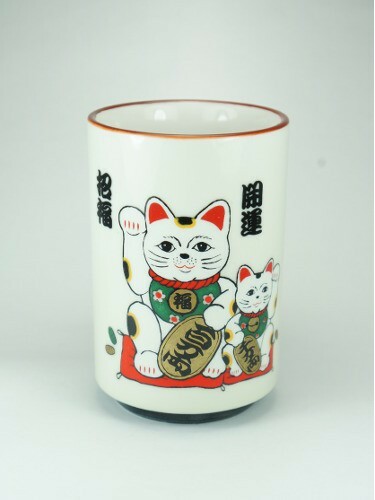 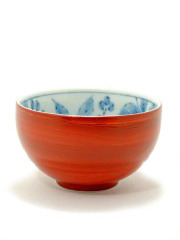 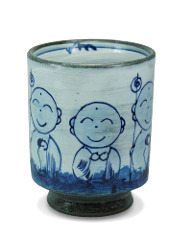 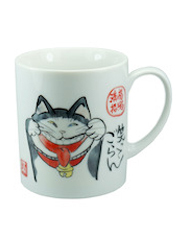 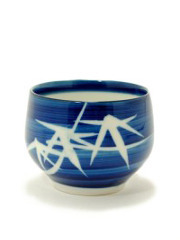 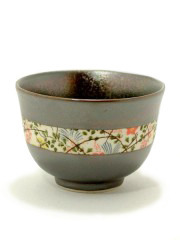 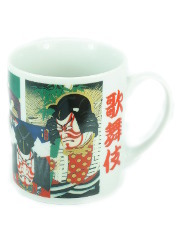 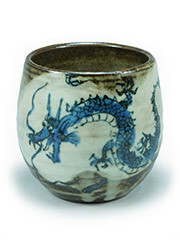 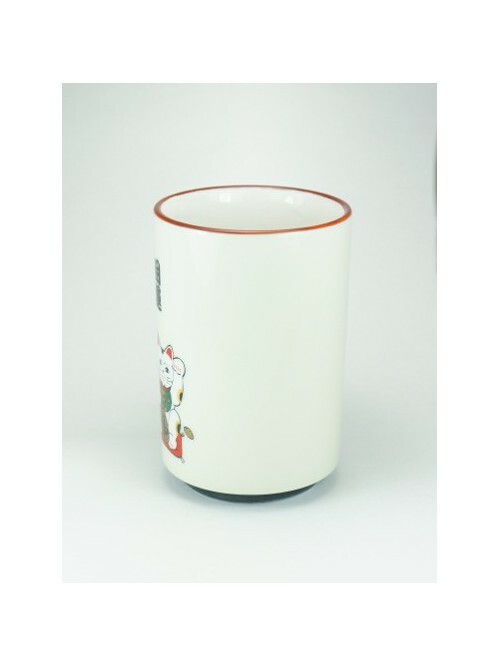 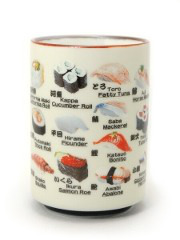 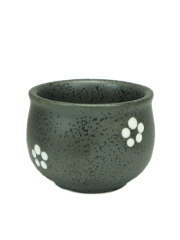 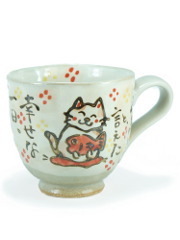 This tea or coffee cup is decorated with two pretty Maneki Neko, the famous Japanese lucky charm. 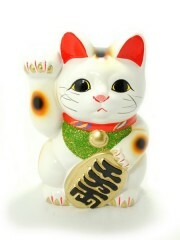 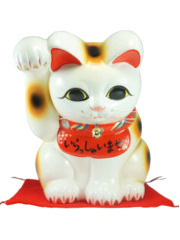 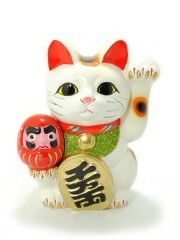 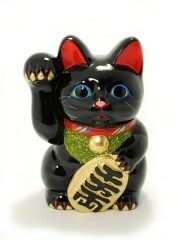 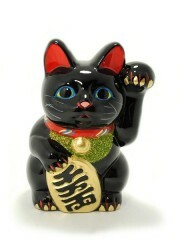 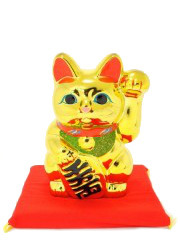 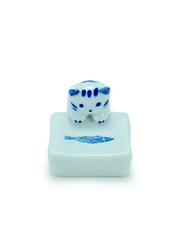 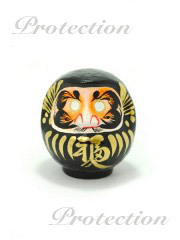 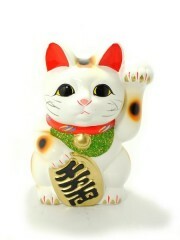 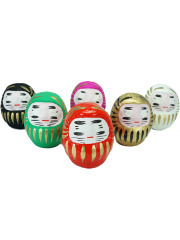 The bigger Maneki Neko with the right paw raised will bring wealth to its owner. 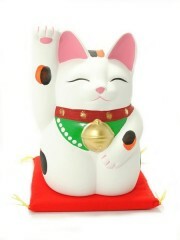 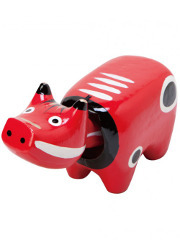 The smaller one with the left paw raised will bring good relations or clients. 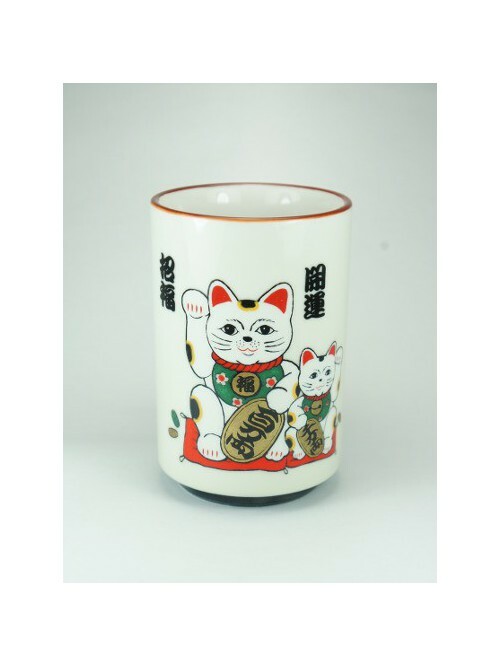 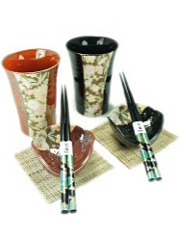 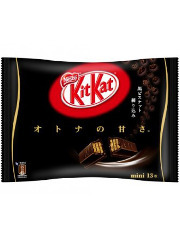 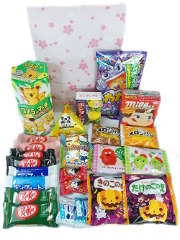 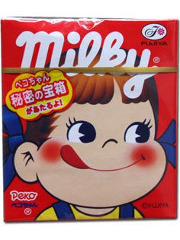 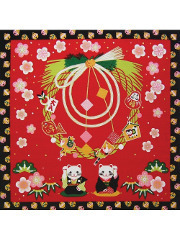 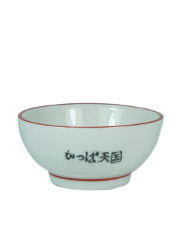 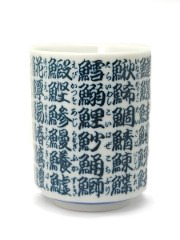 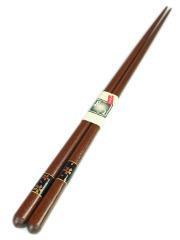 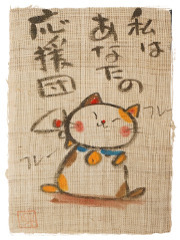 The inscription "Kaiun, Shoufuku", means "Bring luck, invite happiness".